Dave & Buster’s is a bar and restaurant chain that is also an entertainment center featuring arcade games. Patrons can stop at the front desk for a Power Card that will allow them to play some of the more than 200 games in the Midway. They can also enjoy a meal in the restaurant area, or sit at the bar. You can find a Dave & Buster’s application link below. 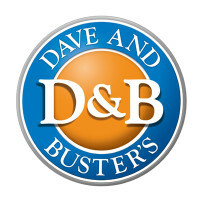 The first Dave & Buster’s opened in Dallas, Texas in 1982 after founders David Corriveau and James “Buster” Corley combined their two businesses, an arcade and a restaurant, respectively. The new business occupied a 40,000 square-foot warehouse. Today the chain operates 76 restaurants across the United States and one in Canada, and it employs 8000 people. The chain promotes from within the company over 30% of the time, and the turnover rate among their managers is low, implying that their employees are happy. They have a benefits package available to many of their employees. Add all of that to an exciting and fun atmosphere, and you can why employment at Dave & Buster’s is desirable. See the website below for a printable application form. If you would like to find what job opportunities are available for you in the industry, you can browse local restaurants and apply for jobs at Dave & Buster’s at their website, below. It is possible to apply online for a number of different management positions at the company. Management positions currently available include Amusements Manager, Assistant General Manager, Assistant Kitchen Manager, Restaurant Manager, Special Events Consultant, and Special Events Manager. You can read a full job description of each and fill out a direct application at their website. There are lots of hourly Dave & Buster’s jobs online, as well. Some of these jobs are Banquet Chef, Bar Back, Bartender, Bowling Technician, Captain, Cocktail, Front Desk/Host, Laundry, Line Cook, Maintenance, Mix Master, Receiver, Server, Service Support, Special Events Assistant, Support Technician, Winner’s Circle, and more. You can read job responsibilities and check locations at the website below. How old do you have to be to work at Dave & Buster’s? You must be at least 18 years old to vend alcohol in the United States, and in many states you must be 21. The minimum age for Dave & Buster’s jobs varies by state and location, but since guests under 18 or 21, depending on location, must be accompanied by someone 25 or older, they prefer hiring people over 25. In addition to working in the fun and friendly environment of the business, Dave & Buster’s careers offer benefits to many employees, including medical, dental, and vision insurance, a 401K plan, and a competitive salary. Business hours do vary by location, but Sunday through Thursday, 11:00 AM to Midnight, Friday and Saturday, 11:00 AM to 2:00 AM is typical. You can look up the hours at your local restaurant online. Bartender – The Bartender waits on guests at the bar, filling their drink orders to company standards. The Bartender keeps track of inventory at the bar, and the money taken in at the bar at the end of the night. Bartenders must keep the bar area clean, and be friendly toward guests and staff. Pay is nominal, as most earnings come from tips. Front Desk/Host – As a Front Desk/Host, you would act as the company’s ambassador to people coming in. You would guide guests through the restaurant and games areas of the establishment. The Front Desk/Host tends menus and silverware, but also sells game rentals. You would be the first and last person guests see. You could expect pay around $9.00/hr. and up. Amusements Manager – As the Amusements Manager, you would manage the Midway area of the business. You would work with the Game Technicians, who keep the games operating properly, and the Winner’s Circle, who award prizes to guests. To browse Dave & Buster’s careers and download application form, see their website, below. Kitchen Manager – A Kitchen Manager keeps the kitchen spotless and running smoothly in a very fast paced environment. The Kitchen Manager is responsible for hiring and motivating kitchen employees, while maintaining the fun environment that Dave & Buster’s jobs are known for. For a printable application for Dave & Buster’s, or to upload a resume, visit the website at the bottom. These are some potential interview questions you may be asked as part of your Dave & Buster’s application process. How old are you? You are likely to be asked this question if the interviewer isn’t sure that you are old enough to work at their establishment. You must meet the minimum age requirement to work where alcoholic beverages are sold. Remember to bring your ID with you to your interview. How would you define teamwork? This restaurant has a large number of employees with different responsibilities working at the same time to give guests a smooth, happy experience. You’ll want to let your interviewer know that you can get along with your co-workers and assist them in meeting their responsibilities while you meet your own. Would you describe yourself as outgoing? This business strives to maintain a fun, happy atmosphere for guests and for employees. They want to hire people who can smile and engage customers consistently. The atmosphere will be loud, and employees need to speak up and show enthusiasm while on the job. What do you like about Dave & Buster’s? If you’re hired to work for the company, you will be promoting the business on the job as part of your career. Take this opportunity to show that you want to be there. They will hire people without much experience, but they want to see enthusiasm. Go to the website for an application form. Once they’ve gone through their applications and they’ve selected yours, they’ll call you in for an interview. You’ll want to put your best self forward. Attitude is everything at this company, so show them yours by being prompt, neat, and friendly. Familiarize yourself with the various careers they have to offer, and ask them any questions you might have. For a free application, see their website, below. Dave & Buster’s has a lot to offer workers who would enjoy their fun, fast-paced environment. If you want to know how to apply for Dave & Buster’s online, visit the website and browse over 1600 positions which are available across their 77 restaurants. You can search for a location near you, and fill out an online application. Applebee’s: See this page for jobs at Applebee’s. Houlihan’s: Use the Houlihan’s job application to apply here. Happy’s Pizza: Happy’s Pizza offers opportunities for both, beginners and experienced roles. BJ’s Restaurant & Brewhouse: Visit the BJ’s Restaurant & Brewhouse application. Fox & Hound Restaurant: Use the Fox & Hound Restaurant job application to apply here.